Sheer brilliance! Starbuck’s Via instant coffee is a perfect addition to these (oh god, can’t I make room in my cupboards?) 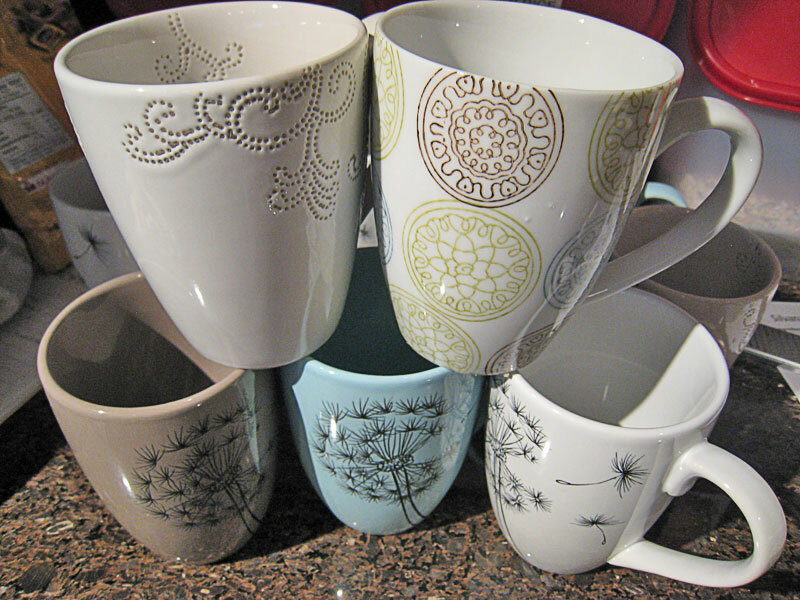 beautifully ornate coffee mugs – this year’s vessel for biscotti batches. This year, there are TWO new flavors! 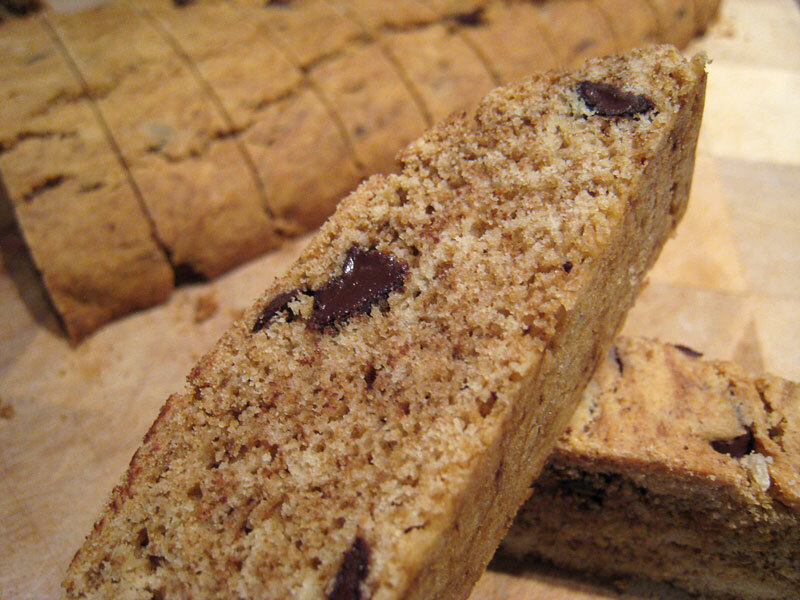 1st: Café mocha (1 Via package / 1/2 cup dark chocolate chips for half batch of biscotti dough). 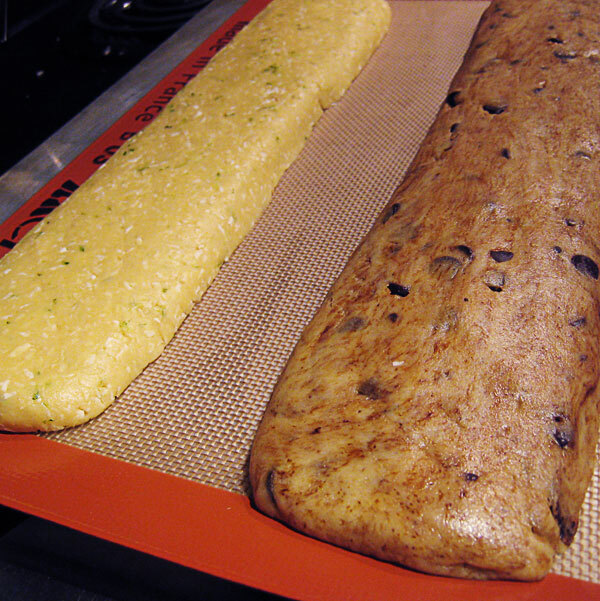 As I worked the dough, the instant coffee started to melt and marble. 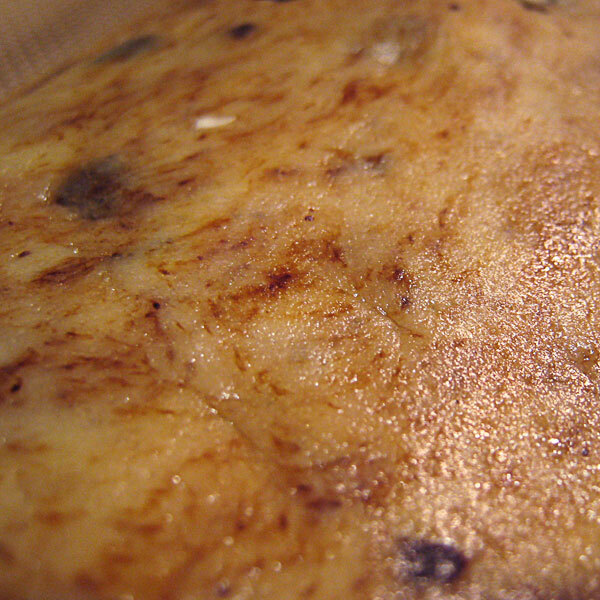 Too bad it’s not as visible after baking. 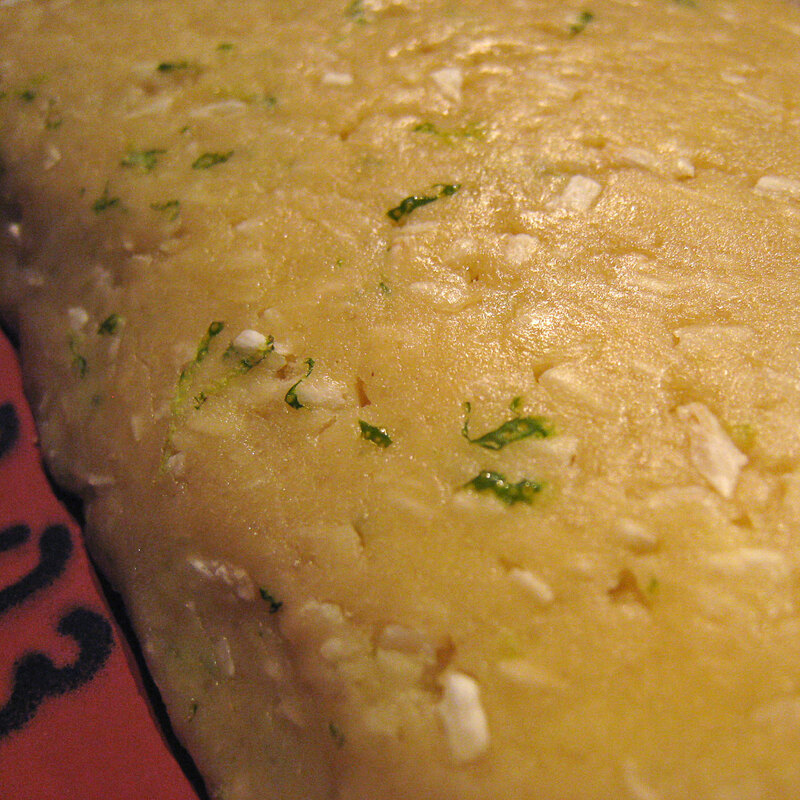 2nd: Coconut Lime (3/4 cup coconut / zest of 1/2 lemon for half batch of biscotti dough). 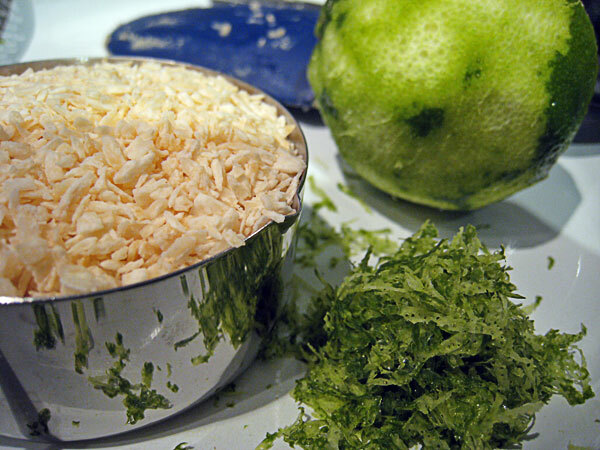 Sadly the festive lime color is muted, and next time I’ll use the zest of a whole lime for more punch. If you look closely, there are brown freckles on the dough – it’s from using the Organic Cane Sugar rather than refined white. I find it less sweet and quite like that. 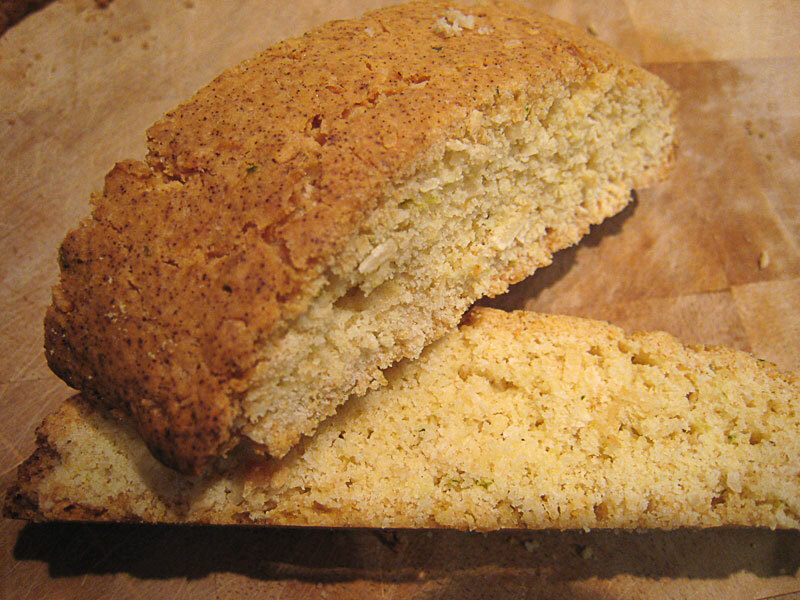 Wowwwwww, looks incredibly delicious! Very cool, ingenious flavours! And wow, those mugs are gorgeous! I might have to check out Starbucks soon!! Gotta cash in on my egg nog latte coupon! 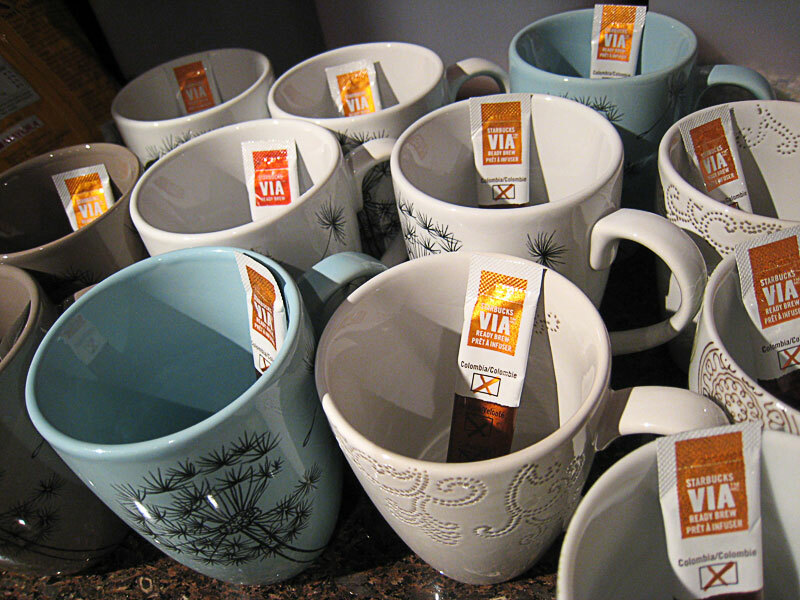 Love the variety of biscottis and goes so well with the Via Instant Coffee in the beautiful mugs. Great reason to replace our old mugs now!